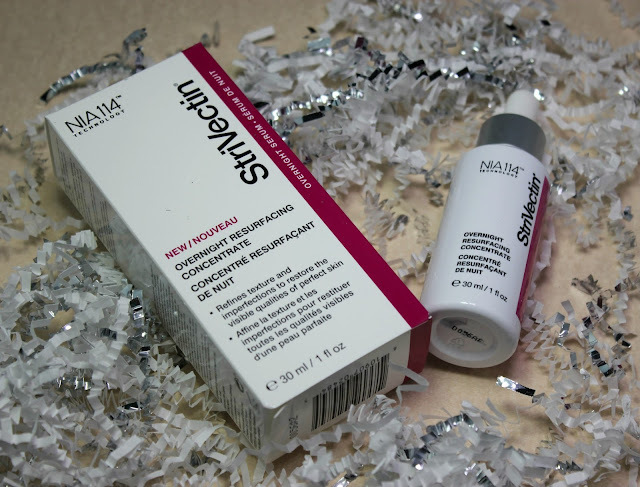 StriVectin Has a NEW Resurfacing Treatment and You Will Want to Read About It!! I am so excited to share this new product with you. When I got the press release, I read it and thought that it was a perfect match for what I was trying to get my face to do. I wanted to smooth out that uneven skin and I didn't want to put a lot of work into it, either. It didn't get me flawless, but it took me to a huge step in the right direction. By using the Overnight Resurfacing Concentrate once a night, it can bring you skin to a new level of smooth. It is formulated with the **new** NIA-114 technology only from StriVectin. 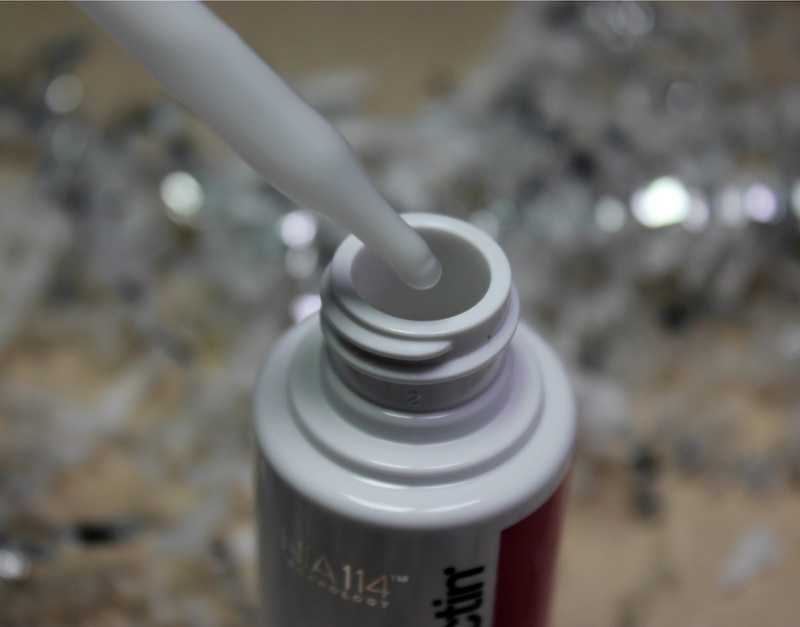 As you know from my previous StriVectin skincare posts, you will know all about the NA-114. 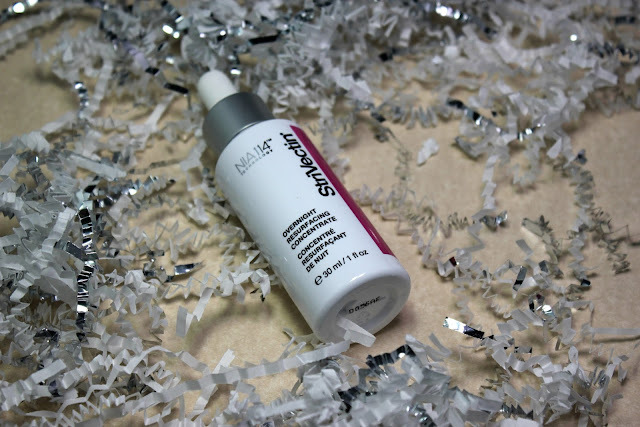 It wakes up the surface of the skin, strengthens, moisturizes and makes the rest of the products you use at night intensify. 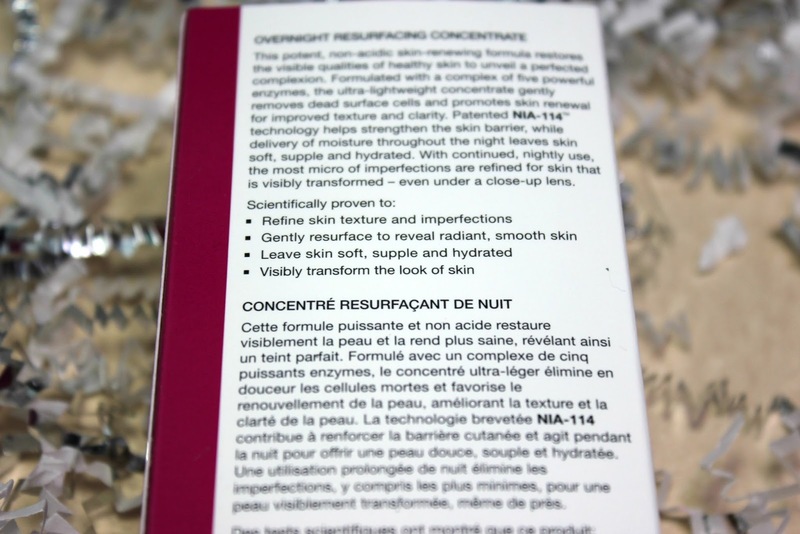 For my nighttime routine, I used this after my medication and right before my moisturizer. The difference I have noticed on my skin are really amazing. 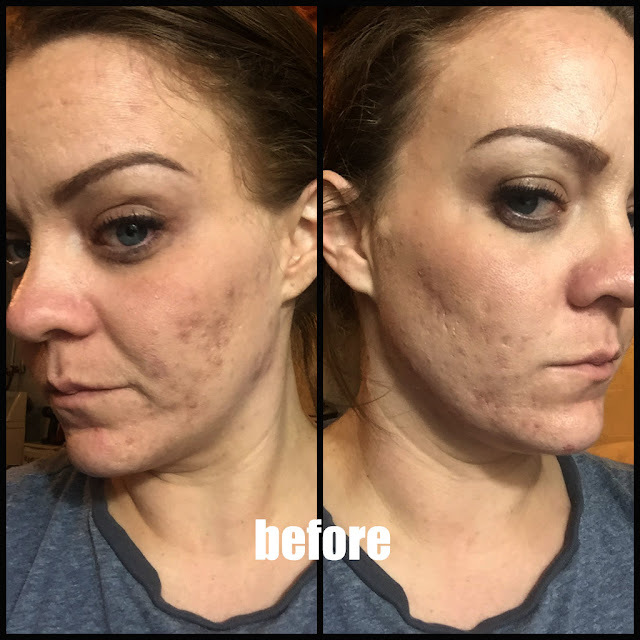 I have less ice pick scars, less bumps on my chin, smoother forehead and less fine lines. I will continue to use up this bottle because it has been doing so great for my skin. I think that without a surgical intervention, a lot of my deeps scars will remain. They have lightened up and became more shallow, but they are still there. Who knows what will happen by the end of the bottle.